My name is Peter Watts and I presently live in Queensland Australia. 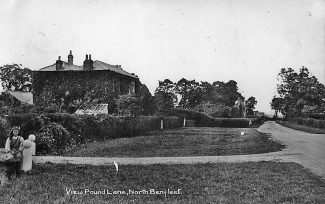 I derive immense pleasure at viewing all the old photographs/text relating to Benfleet and surrounding areas and once again thought I would submit something of interest, especially for present and past residents of North Benfleet. Many of them would not now be alive of course, although I would love to hear from any of my old friends that are still with us today..
My eldest sister Joan was in the Women’s Land Army during 1942 and located in Buckinghamshire. She became engaged to a young man named Harry Richardson, normally from Kingswear South Devon, a Pilot, he also was stationed at an RAF airfield in the same district as my sister Joan. Both Joan and Harry decided to get married in 1942 and at All Saints Church situated in Hall Road, North Benfleet. Hall Road was directly opposite our home, clearly visible from the front of our house and only about a quarter of a mile away. In those early days of the war food rationing was in place, travelling was not only difficult (no petrol), signs on all trains and buses saying. “Is your journey strictly necessary” and weddings were generally hurried affairs. 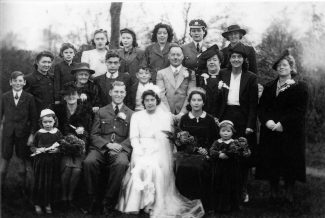 Couples wondered what the future held for them because of bombing, service personnel not knowing where they were to be sent to and short engagements were ‘de rigueur’. 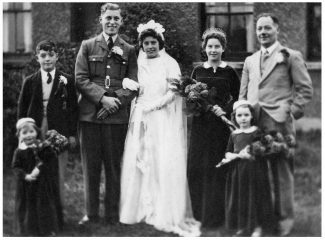 The wedding ceremony duly took place at All Saints; It was all rather hurried and the wedding breakfast took place in the ‘front room’ of our house… I was elected, at age 12 to be ‘Best man’. I deputised for my brother George, (also a member of the RAF and he actually sailed that same day for South Africa on SS Mauretania).. I recall that our house was dreadfully overcrowded; ample food was in evidence and much of it being supplied by friends. Hard liquor was not available because of “The War Effort” although beer was no problem! The accompanying photographs show the wedding party outside the house (I am the one in the blazer on the extreme left), the total attendees are in the next photo, our old house and All Saints Church are clearly identified. 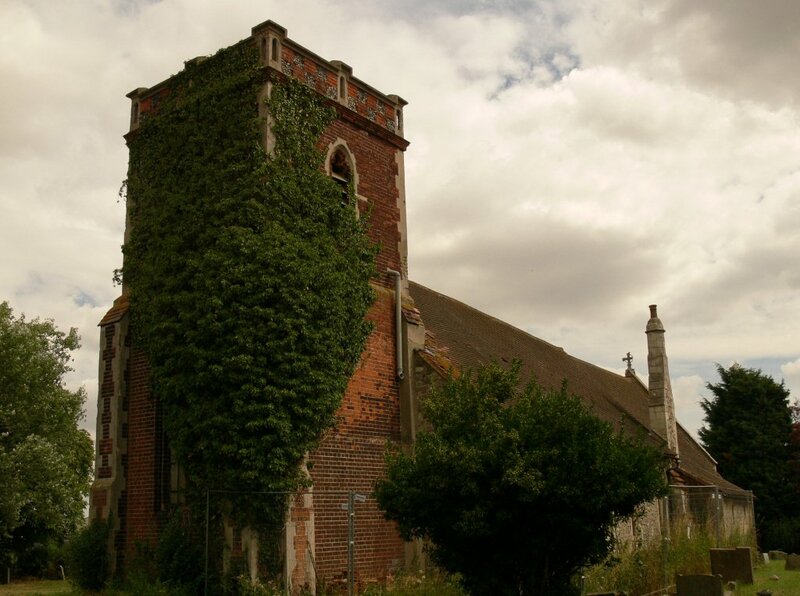 I hope that by submitting this article and photos it will perhaps encourage others from North Benfleet to do likewise as I have yet to see any wedding photos of those getting married in North Benfleet church. I would be most grateful should anyone wish to contact me regarding this page especially if they can recall either me, members of my family, or anything of relevant interest.